Writing more proposals and being very quick in sending the proposal to the project just posted is the not the key to success. The conversion ratio of the proposals you write and submit is more important than anything else. The most successful freelancers don’t spend too much time writing proposals and yet their proposals are personalized that client can seldom reject. They write proposals with a template and make the proposal STAND OUT. 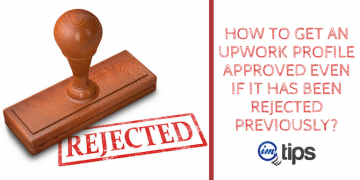 If you aren’t very careful and if you keep on sending those low-quality copy paste proposals your Upwork account can get suspended. 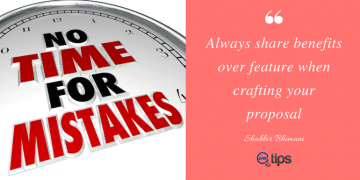 If your proposals don’t have a good response ratio, it is highly likely that you are making those common mistakes when crafting your proposals. 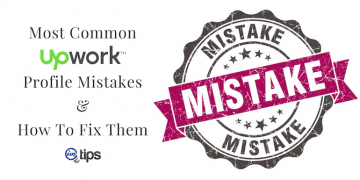 Mistakes in proposals can mean you are hoping to win clients. The wrong word is hoping. You will be reading so much about writing custom proposals from every successful blog about freelancing and yet when you follow the guidelines for writing those custom proposals but see no response. Every such blogger saying the same thing cannot be wrong but something is wrong somewhere. The issue is the niche. 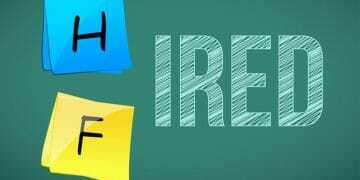 There are jobs where you will have very little to write a proposal and the biggest example of such a wrong niche is data entry niche. There are hundreds of jobs being posted and within minutes, each of those jobs has hundreds of proposals as well. 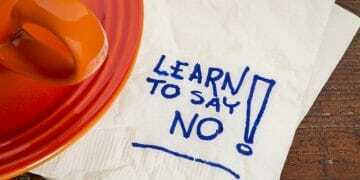 Among those hundreds of proposals, your proposal though may be custom yet may not even be seen by the clients. Do you want to be in those league of freelancers where you have no unique selling propositions or USP and it is a mere choice of luck to win a project? Are you targeting one such niche? 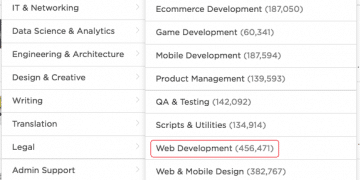 Upwork has a stats of how many proposals are already submitted for a job. If there are already tons of people who have already applied for the job, there is no point in adding one more unless there is a very good reason for it which is if you are invited to submit a proposal. 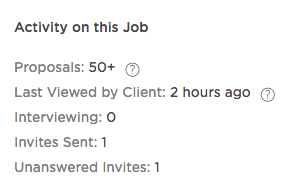 Never apply to a job which has 50+ proposals in Upwork because the chance of your proposal seen by the client is less than 2%. I am not making a general statement to only apply when the proposals are less than 5 or between 15 and 20. Apply your own judgment to see what works best for the kind of projects that you are applying to. Some projects will have lot more proposals than others and so opt for those that have fewer proposals to increases your chance of interacting with the client. If the client would have known what is the cost to get things done, they will also know how to get it done or at least where to get it done. The budget should not be taken as the maximum client is willing to pay but it is more of a ballpark figure. The client puts a budget just to make sure they aren’t ripped off. See how one of my recent clients paid over his budget. If you always try to keep things within the client budget, the project may not become feasible for you with quality standards that you wish to follow. At times in your proposal, you have to convince the client how it is not feasible to get things done within the budget they have set and how they need to extend their budget. 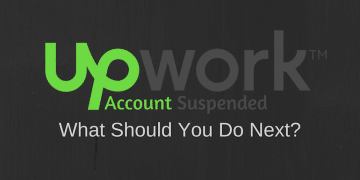 There is a limit to the number of connects an Upwork account can have which means there is a limited number of Proposal one can submit. With the basic account and 60 connects, freelancers can submit anyway between 30 to 60 proposals. 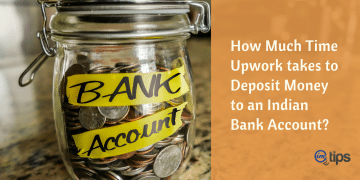 So if you don’t take the time to make sure each of your connect is used effectively, you can have a tough time to win clients on a consistent basis on Upwork. I see the copy paste proposal is a side effect of seeing too many proposals are submitted in a very short span of time on some jobs which make new freelancer to commit the same mistake of what others are making to keep a copy of the proposal that can be used to paste for similar kind of projects and do it in few seconds. 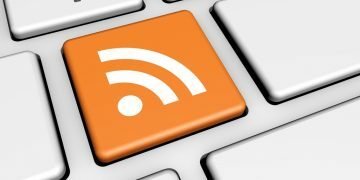 You can speed up the process of submitting proposal using RSS but never copy paste the proposal. 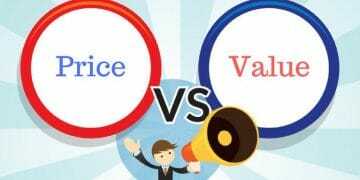 Instead of doing a copy paste of proposal, move to a better niche where you can take the time to craft your proposal. New freelancers on Upwork wins clients on a daily basis and if you assume it works only for seasoned and experienced freelancers who can dominate the freelancing world, you are completely wrong. Such myths exists because people who aren’t able to make any fortune from such freelancing sites share such horror stories on Quora and reddit. Sites like Upwork is neither a price war with everything getting cheaper nor it is for only for the established freelancer. It is a marketplace for clients to share their requirements and freelancers to show their talent and expertise. Follow the right process, avoid common mistakes and are learn and improve as you move along. 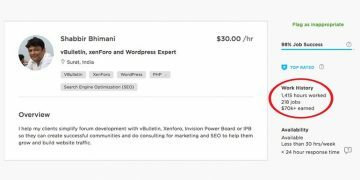 My hourly rate has always been on the rise and since my move from Elance to Upwork, it has gone up from $25 to $35 which confirms that it is all about providing value and quality and not a price war. 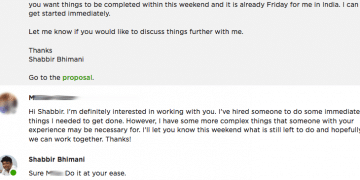 People waste so much time building a Facebook profile but when it comes to Upwork, they rush into it. There are many parts of the profile and you have to make sure every part of the profile is complete including tests. 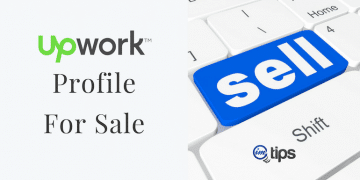 Here I have a complete article on how to structure your Upwork profile. So if I would like to create a profile for an Android Developer, I will opt for the best Android Developer and see what all elements he has in his profile and what has been shared in his profile and use it in my own profile. 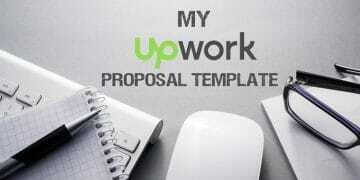 Last but by far the most important aspect of any proposal is to be able to write an Upwork proposal from the client’s point of view, his or her goals for a website. You can offer hundreds of different things but how those things can impact them in their business is more important than anything else. 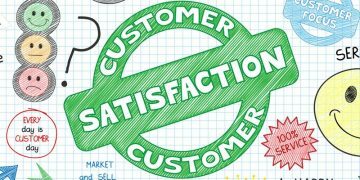 What you offer are features but what client gets are benefits. As an example, web developers often share in their proposal. First one is a feature of what you offer but the second one is a benefit of what client gets. My request to join up-work is not getting approved. 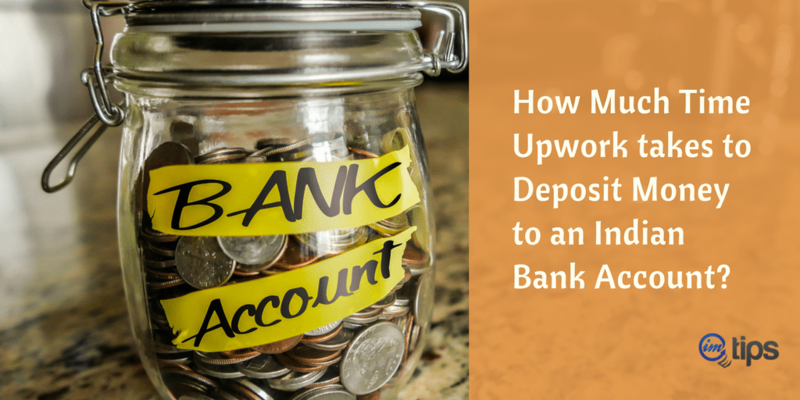 I am new to freelancing and want to create an account on upwork but I think they are not accepting new accounts. Then read their rules along with terms and conditions. Get on the right side of those. Rahul, it seems you get demotivated very easily.